When it comes to residential plumbing problems, what may seem to be a minor issue can quickly escalate into an emergency situation. If you are ever in urgent need of a certified and reliable plumber near you in Manly; Service Today are here to help. Our team of local plumbers are available 24/7, and prepared to handle any plumbing issue you may be experiencing. From pipework problems to faulty hot water systems – and everything in between – Service Today has a team of expert plumbers who are certified and experienced across all fields. 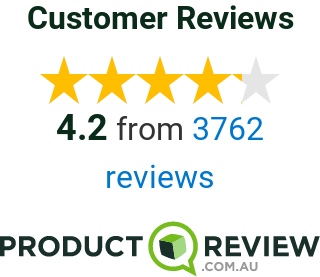 We constantly provide high quality, satisfaction guaranteed assistance to all our customers in homes throughout Manly. If you have damaged pipework that needs to be repaired, and you are dreading the stress involved digging up your garden, there is another option! Pipe relining is a method that involves minimal excavation and can be a cost-effective option for repairing damaged pipes. Our leading team of experienced plumbers Manly are the experts in pipe relining, so give us a call today to discuss whether this could be the answer for you. If the water in your sink is draining slowly, or you’ve noticed strange smells and gurgling noises around your drain, our local Manly plumbers can help. Blocked drains are a common problem in many homes, but should be dealt with sooner rather than later – to prevent larger issues occurring in the future. Armed with the latest in technology and tools, including CCTV drain cameras, water jetting and pipe locators; our highly skilled plumbing technicians will unblock your drain today. Service Today has an expert team of emergency plumbers in Manly, who are available 24/7 to attend to any leaking or burst pipes. Our licensed plumbing technicians are equipped with the latest technology to inspect your pipes and provide the best possible solution to solve the problem. We know the importance of attending leaking and burst pipes urgently before the risk of danger escalates, so rest assured that we have plumbers near you in Manly that will swiftly attend to the problem. Service Today provides the highest quality hot water repairs, maintenance, replacement and installation services. Whether it’s a hot water emergency in the middle of the night, or you would like some expert advice on a new replacement system for your Manly home, the hot water professionals at Service Today are here for you 24/7. For same day hot water repairs by an experienced local plumber Manly, give our friendly team a call today. Our team of expert gas fitters are licensed and qualified to carry out any gas fitting or connection on your property. You can rest assured that our technicians are fully insured and compliant, as well as highly experienced and prepared for any work required. We have a team of qualified gas plumbers on call in the Manly area, and offer compliance documentation upon completion of our work. A toilet that is blocked up or broken down is never convenient! When things don’t go to plan and you find yourself in need of an emergency plumber in Manly, Service Today are here to help. No matter what time of the day you need us, our experienced plumbers are available around the clock for any toilet repairs you require. Call us now and have your blocked or broken toilet fixed today. Our team of tap repair specialists are available to repair or replace any taps in your Manly home. Whether you need help fixing a leaking tap, you want faulty taps replaced, or would like to update your existing tapware – Service Today are your one-stop-shop for everything tap-related! Give us a call today, for quality same day service by our local emergency plumbers Manly. For all leaking roof and gutter repairs, or just general maintenance to ensure that your home is in top condition, Service Today has a team of skilled roof plumbers who are able to assist. If you suspect a leak, it is best to act now and avoid any potential damage in the future. Give our friendly team a call and we will send one of our top Manly plumbers over to carry out a professional inspection, providing you with the best solution for your roof and gutters today. Our extensive fleet of technicians includes a team of expert plumbers in the Manly area, based locally to provide rapid response for all plumbing emergencies. At Service Today, we pride ourselves on exceeding customers’ expectations and providing the highest quality, professional plumbing services. We are committed to delivering on our brand promise and providing our customers with reliable service – today! At all times, our local plumber Manly bring their “Yes We Can” attitude. Our team go out of their way to do the little things that count, and consistently deliver the highest quality, professional plumbing services to all our customers. No plumbing job is too big or small for Service Today, and you can rest assured that we will leave your property in immaculate condition upon completion. At Service Today, we believe in being honest and transparent with our pricing. We provide upfront quotes and fixed prices, at competitive and affordable rates, on all jobs. Our Manly plumbers always ensure all customers are fully aware of all costs involved, prior to commencing any work. We have an extensive fleet of licensed and insured plumbers on the road in Sydney, including local experts in the Manly area. All our technicians are thoroughly prepared with fully stocked trucks, loaded with the most common tools and parts, enabling them to provide same day service and a first time fix for most plumbing jobs. Service Today are a leading provider of plumbing services to the residential area of Manly and beyond. We have been in business for over 10 years now, gaining invaluable experience along the way, to provide our customers with only the highest quality of service. If you are looking for a trustworthy and reliable Manly plumbing service, Service Today can help. All our highly skilled technicians are local plumbing experts, who will go above and beyond to solve your plumbing issues that very same day. We provide 24-hour plumbing in Manly, so get in touch with us anytime! Our local team are always on call, and can swiftly attend to any emergency plumbing situations in Manly. Manly is a coastal suburb located on the Northern Beaches of Sydney, approximately 17km from the Sydney Central Business District and a popular tourist destination, largely due to its famous beaches. Manly is part of the Local Government Area of the Northern Beaches Council, and the Federal Division of Wentworth. A neighbour to suburbs including Fairlight, Queenscliff and Manly Vale, Manly is home to the International College of Management as well as a number of Heritage Listed Sites such as North Head Quarantine Station and Manly Ferry Wharf.